It was ten years ago whenscientists announced the end of the Human Genome Project, an international attempt to learn which combination of four nucleotides -- adenine, thymine, cytosine, and guanine -- is unique to the homo sapiens DNA. This biological alphabet helped scientists identify the approximately 25,000 genes coded in the human genome, but as time went on, questions arose about how all of these genes are controlled. Today, Harvard Stem Cell Institute Principal Faculty member Alexander Meissner, PhD, reported another milestone, this time contributing to the multilayered NIH-funded human Roadmap Epigenomics Project. Epigenetics is the study of how the over 200 human cell types (e.g., muscle cells, nerve cells, liver cells, etc.) can have an identical compliment of genes but express them differently. Part of the answer lies in the way that DNA is packaged, with tight areas silencing genes and open areas allowing for genes to be translated into proteins. 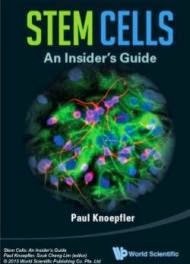 Stem cells differentiate into various cell types by marking specific genes that will be open and closed after division. New research by Meissner, published online as a letter in the journal Nature, describes the dynamics of DNA methylation across a wide range of human cell types. Chemically, these marks are the addition of a methyl group -- one carbon atom surrounded by three hydrogen atoms (CH3) -- anywhere a cytosine nucleotide sits next to a guanine nucleotide in the DNA sequence. Meissner's team, led by graduate student Michael Ziller, at Harvard's Department of Stem Cell and Regenerative Biology mapped nearly all of the 28-million cytosine-guanine pairings among the 3-billion nucleotides that make up human DNA, and then wanted to know which of these 28 million are dynamic or static across all the cell types. "When we asked, how many of them are changing, the answer was a very small fraction. Importantly this allows us to improve our current approaches of mapping this important mark through more targeted strategies that still capture most of the dynamics." said Meissner. The researchers found that eighty percent of the 28-million cytosine-guanine pairs are largely unchanged and might not participate in the regulation of the cell types, while the dynamic ones sit at sites that are relevant for gene expression -- in particular distal regulatory sites such as enhancers. The methylation map generated by the Meissner lab is part of a larger National Institutes of Health (NIH) consortium to look at all of the different epigenetic modification that are found across a large number of human cell and tissue types. Earlier this year, the Meissner's lab recorded all of the gene expression and multi-layered epigenetic dynamics that take place in early stem cell differentiation when they prepare to divide into their next fated cell type. In addition to his roles at Harvard, Meissner is affiliated with the Broad Institute and the New York Stem Cell Foundation. Only a graduate student in 2007, he has quickly established himself as a leader in the epigenetics field. "It just happens to be that we're at the right time and at the right place, both physically and sort of in time. Just five years ago, we would have had the same question, but we wouldn't have had the same tools to answer the question. " he said.